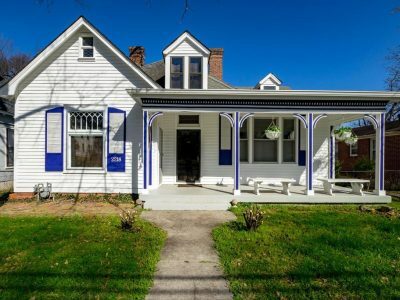 Being a Realtor, clients, friends, and family often ask for vendor recommendations. I have a large list of professionals that I have used or referred. Some come with a disclaimer about their response time or their price. Not the case with CSS Alarms. Justin Krause is the owner and he demands excellence from everyone he employs. He uses quality equipment, has great prices, and their customer service is top notch. I asked him to write an article for you so you could be educated about the differences in alarm companies and make a great decision. Justin’s information is at the bottom of this blog if you are looking for a company to keep you, your family, and your belongings safe (or you want some really cool audio/video toys). Firstly, It should be noted that I may be considered biased by some readers as I own and operate a local Nashville alarm company. But it’s a quick read, so check it out and make the call for yourself. This is truly the Nashville alarm scene as I see it. With an unbelievably vast pool of companies offering Nashville alarm systems and Nashville Alarm monitoring, how do you, as the consumer pick the right company for you? Hopefully through reading this, we can clear things up for you. Though is seems like there are a million choices, in reality there are only a few business models in the entire industry. Let’s have a look into each and see which model fits you best. Typically, this is what the big national outfits do. They have very large advertising budgets and seasonal sales forces that roll out every summer. You know them best as the “Door-Knockers.” They will offer equipment for “free” or at a “discount” so long as you sign a three or five year term contract. This allows consumers to sometimes get an alarm system at a lower initial cost, but usually it will cost them much more over the life of the system. That’s where the contract comes in. We’ve all heard the “no such thing as a free lunch” saying. That applies to all industries, but especially the alarm industry. Your monitoring rate suddenly begins to rise $5 here and $4 dollars there and when you call to complain to the person who sold you the contract, they are no longer available and you’re stuck in the vicious cycle of the call center. Another pitfall, aside from the contract, is that they will use proprietary monitoring equipment that other alarm companies cannot use. Why you ask? You guessed it! Just another way to make it harder for you to leave. They figure that if they have you in a contract AND you would have to buy new equipment if you wanted to switch to another monitoring company, they’ve got you right where they want you. I’m not saying that this is the wrong way to go, some people like this model and never have an issue. I’m just saying that you need to know what you’re getting into before you sign a contract for three or five years. Remember they are asking for your business and your money. Why should you commit to anything? Especially when they haven’t proven themselves to you. The simplest way to decide if this model is right for you is to answer this question. “Would you lease your furniture?” If the answer is no, you probably shouldn’t lease your alarm either. 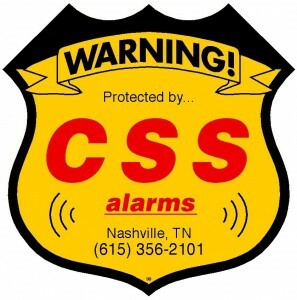 These companies span from Mom and Pop’s with 100 clients to large Nashville Alarm Companies with thousands of clients. Do your research and look for the outfits that have been around a long time. 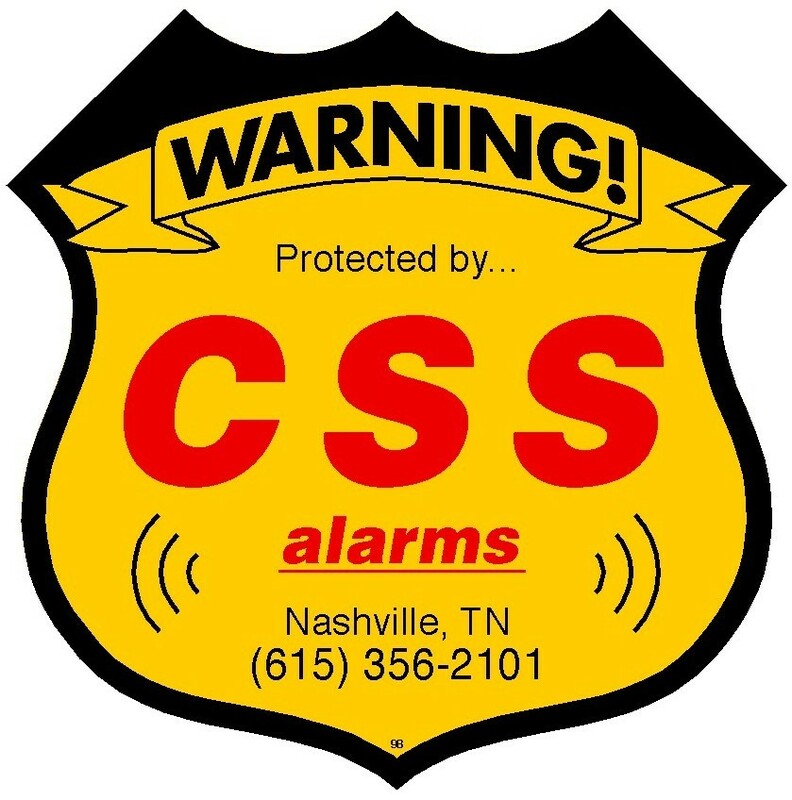 The average Nashville alarm company lifespan is about five years, so look for the ones that have been around fifteen, twenty or thirty years. The major “pro” with local no contract is that you as the consumer never lose your leverage. If a local, no contract company drops the ball, you can simply cancel your service and move to another. Most of these guys though, the smart ones anyway, know that it’s much easier to keep a client than find a new one. With that said, they will usually bend over backwards to keep you happy. A big national contract company can tell you that they’re sorry your alarm isn’t working, but it will be three weeks before we can send a technician there. And guess what? You signed that contract and there’s nothing you can do about it. Without a contract, YOU have the leverage. The main drawback to the local company is that the initial install price is almost always more. It’s usually not substantial, but remember the local guys don’t have the insurance of the contract. Also, as they typically do not use sub-contractors, you may have to wait a few days longer for your install. The idea of sub-contracting technicians and trusting them in my client’s homes to install life safety systems gives me heartburn! In every market there’s one of these companies. Really in every industry there’s one of these companies. The General Auto Insurance, Cici’s Pizza, Vistaprint….You get the idea. They do a lot of market research of their competition’s pricing, find an average, then charge half! Sounds genius right? Well, in some cases yes and others no. What’s the worst that can happen if you get a bad pizza or a box of business cards that are on the wrong card stock? Nothing much, right? You deal with it and move on. If your alarm company fails you however, there can be much higher consequences. Just look at a business model like Cici’s Pizza. Their goal is to have the cheapest pizza in town and I’m sure their corporate executives are laser focused on two factors – how do we make pizzas cheaper and with less overhead? When the alarm company focuses only on the cheapest, is it any different? Or is the end product and service cheaper too? It’s simple math and they know it better than anyone. Again, I’m not saying this is the wrong way to have a Nashville alarm system. Plenty of people have it and like it. Just make sure you read the fine print and do your research for true “apples to apples” decision making. While low cost is great, value is important too. I hope this is information is helpful to your search. It is no secret (and probably not very hard to pick up on the fact) that I believe in doing business locally and that building those long term relationships is the only real way to retain clients. 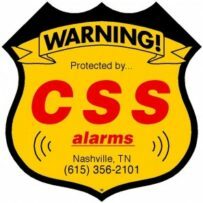 Our families business, CSS Alarms and Services, has been in business here in the greater middle Tennessee area for over thirty-one years – and that’s our BIG secret! It’s simply the relationships. There are quite a few quality, local burglar alarm companies here in town and we are most certainly not the only option, so do your homework. Find that perfect mix of cost, value, support and service that fits your unique needs. And remember, make them earn your business!